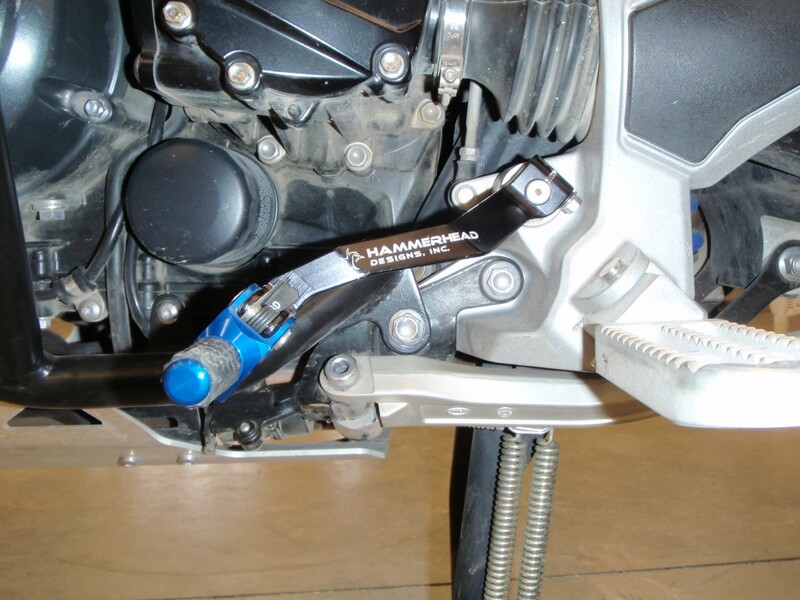 Has anybody out there installed a longer shift lever? If so, which one did you buy? 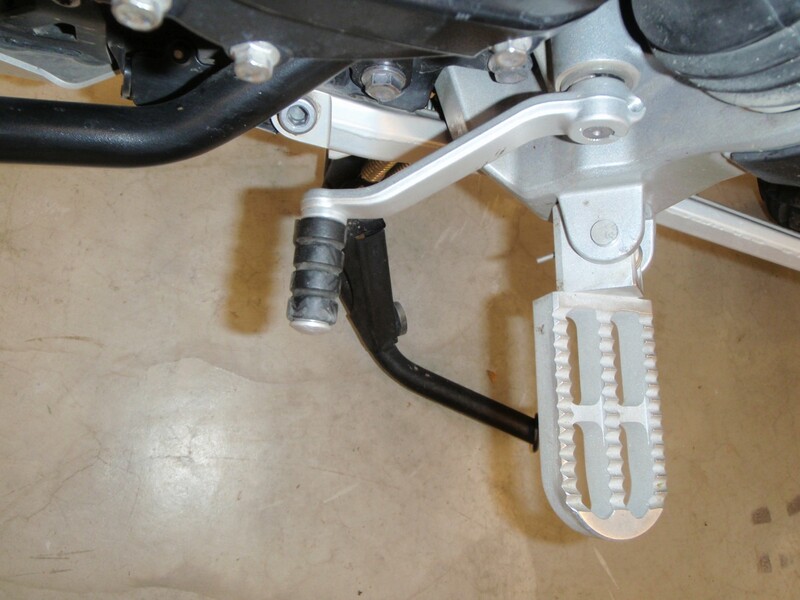 With my lower and more forward rider pegs, my shift lever is a little short for my size 13 (48) boots. Looks like a couple more inches (50mm+/-) would do the trick. 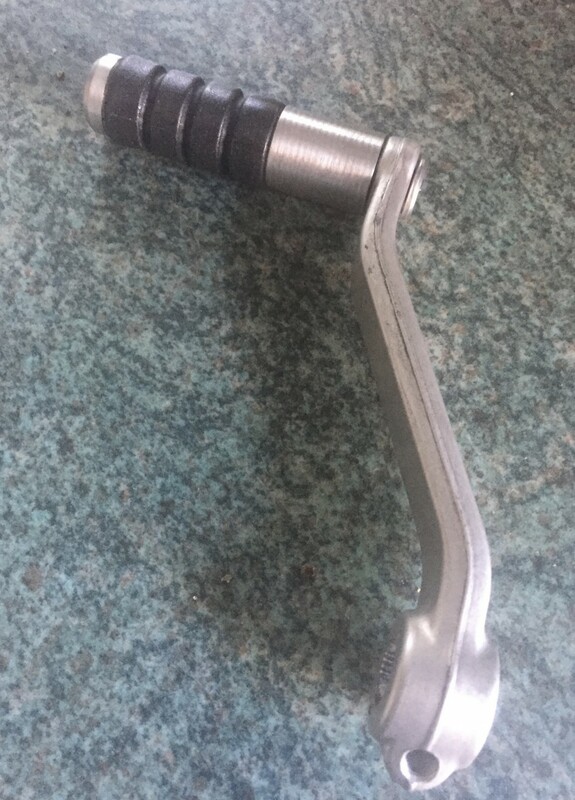 I did buy the IMS shift lever which I could have lengthened but that would cost way more than buying new, I'm thinking. Yep. I just made one. Really simple. I am sure that someone locally with a lathe could copy it. 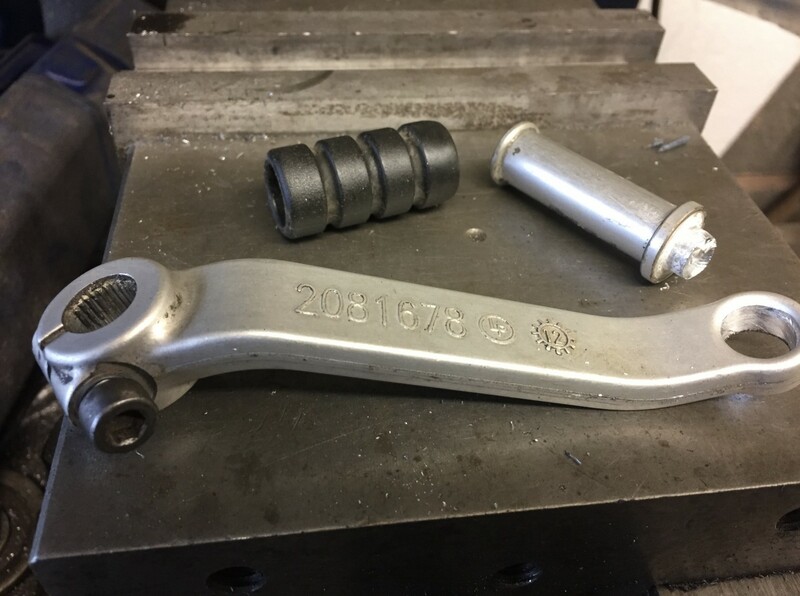 I carefully removed the swage off the back of the peg and removed it from the lever. I then removed the rubber sleeve from the peg. I made a new longer peg and slipped the sleeve back on. I drilled and tapped the peg 6mm so that it could be secured back into the lever. Took no time at all and works well with my massive feet. What I'm looking for is a longer lever itself. The position of the current stock lever hits high up the top of my foot instead of closer to my toes. Obviously if I slide my foot back it helps but it's not how I usually ride. 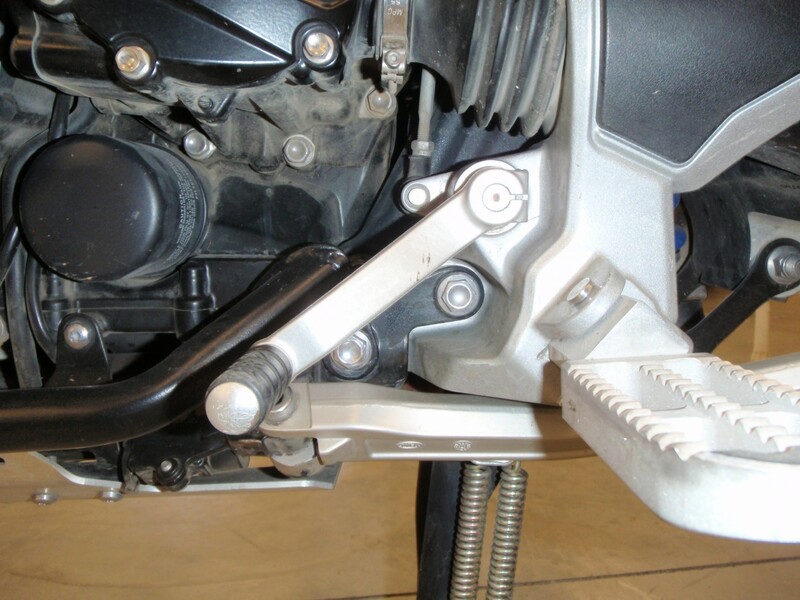 The SW Motech lever is longer than the stock one, with the ability to move the toe piece (whatever it’s called) anywhere along the length of it. It’s just that it’s more restrictive in spline position (so height) than the stock lever. Ohhh, the arm. Right. I gotcha. Can't you just move it round on the splines for a better fit? That's all I did. The SW Motech one? It can be moved on the splines, but not to all the same positions as the OEM one - have a look at the video in the thread I linked to and you'll see what I mean. I went with one from Hammerhead designs. It was a bit of a job to mount because the bolt holding it on the shaft was installed from the top rather than the bottom, but I got it to work. 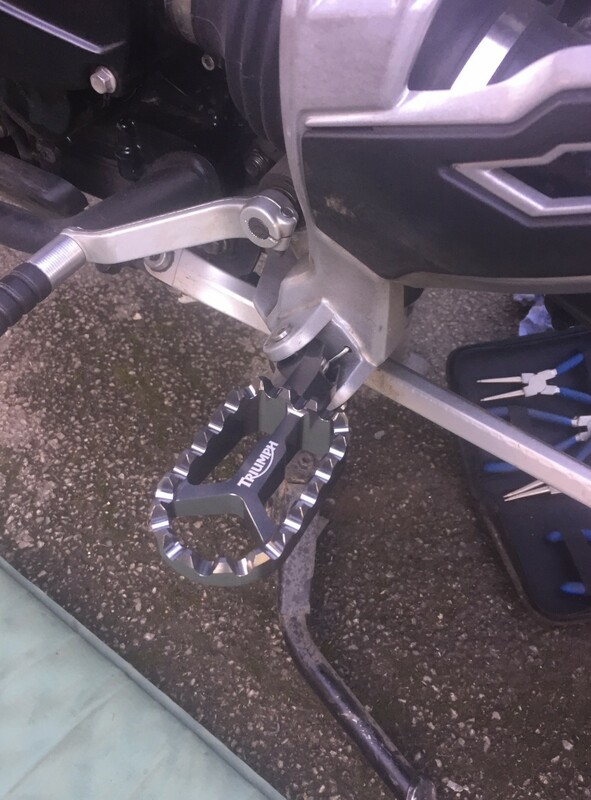 Oder one to fit a '95 Yamaha YZ250 with a 15mm offset & rubber boot. 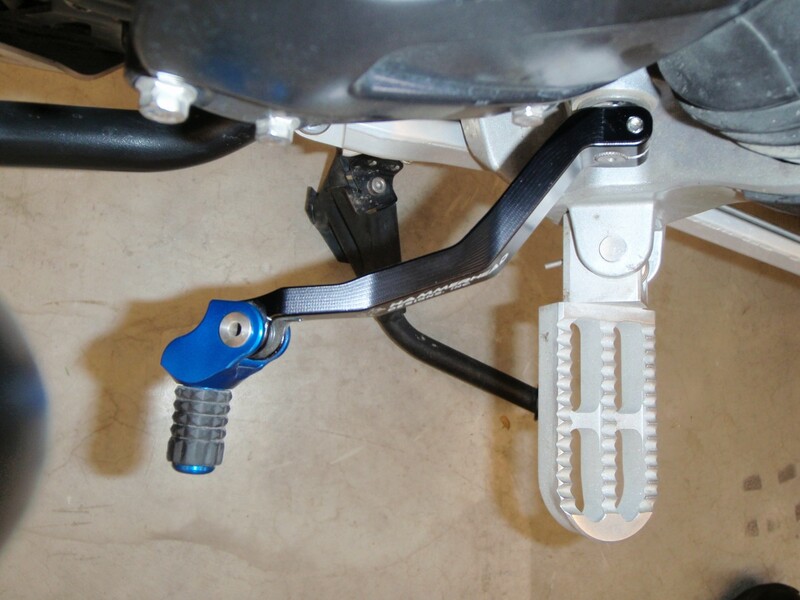 The shifters were redesigned after I bought mine with the bolt coming through from the bottom, so they should be a snap to install. BTW, I also wear either size 13 or 14 boots, depending on the brand. Thank you for that. Pictures do tell the story. I noticed you are using the K&L pegs as well. I have the K&L Mega oversized pegs, there great.